Funeral Products offer a range of memorial items, ranging from cremation urns to memorial jewellery. All of their products are available to purchase for delivery to any of our offices. Please click here to download the latest catalogue to view the full range of products available. You will need to view the catalogue in conjunction with the price list by clicking here. Orders can be placed by contacting any of our offices. Specializing in memorials, headstones and gravestones. Founded in 1909 as specialist memorial masons Martin & Sons has remained a family business ever since. Based in Plymouth, Devon they offer a full range of Granite, Slate and stone related services and products. Devon memorial specialists Williams & Triggs have been based in Newton Abbot for well over 100 years, much of that time at their current showrooms and works in the Avenue. As a family run business, they offer a personal and highly professional service having a large display and showroom for you to select a unique and special memorial of your choice with friendly advice and guidance. They are members of the National Association of Memorial Masons (NAMM) and the British Register of Accredited Memorial Masons (BRAMM). Established over 30 years ago, St Mellion Flowers was initially set up as a wholesale business supplying shops and hotels. We bought our warehouse in Saltash 10 years ago and now sell direct to the public for home, events, weddings and funerals. As well as the warehouse, we have a shop in Launceston and are proud to run one of the largest InterFlora franchises in the country. Bluebird Care Exeter is an award winning at home care provider, which opened in 2011 and is owned and operated by husband and wife team, William and Sara Flint. They are assisted in the day to day management of the service by their Business Leader and Registered Manager, Jacqueline Fyall. They offer a wide range of services giving plenty of choice for care at home support. Personal, practical and specialist care needs are met with care visits ranging from 30 minutes to 24 hour Live-In care. We work in association with the following local solicitors, making a donation to their charity of the year when you purchase a pre-paid funeral plan at the same time as writing your will. Let Curtis Whiteford Crocker Solicitors take the strain. Trust our team of legal professionals, whose extensive experience enables us to provide the best advice for you. With dedicated specialists in both the private and commercial sectors, we deliver the appropriate solution for you – at a realistic and reasonable price. Serving our clients for over 200 years, Curtis Whiteford Crocker Solicitors have built a reputation for being a leading practice with a friendly face. We keep our clients informed and in control, which is why they come back time and again. 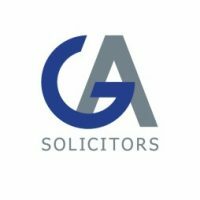 Established in Plymouth for more than 200 years, GA Solicitors has supported individuals across the South West with a wide variety of legal needs. With a team of probate specialists, GA is well placed to support you with the administration of your loved one’s estate and they will do so professionally and empathetically, guiding you through every step of this sometimes complex area of the law. At GA Solicitors we tailor our services to your needs. We are able to offer a fixed fee, Grant only option, as well as providing the complete probate service. Members of GA’s probate department are accredited by Solicitors for the Elderly, Society of Trusts and Estate Practitioners and are ranked in Chambers & Partners UK. You can be assured you are in the best possible hands. Wolferstans is a major Plymouth law firm with a history going back to 1812. Based in North Hill, with satellite offices in Plympton and Plymstock, they provide a wide range of legal services to meet the needs of individuals, families, SME’s, public sector and voluntary organisations based throughout Devon and Cornwall. Woollcombe Yonge has been serving the needs of small to medium-sized businesses, families and individuals for over 250 years, combining traditional values of commitment and reliability with a modern and progressive approach to the delivery of legal services. 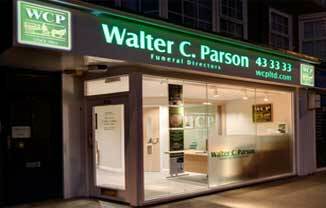 Our exceptional staff are friendly, approachable and use plain English. Our approach is “can do” and client focused. By understanding your needs, we deliver the best possible service. Our legal services include Business Transfer, Property sales and Purchases, Wills Probate and Tax Planning, Divorce, Finance and Children and Police Station and Court Representation. If you need a modern, committed and efficient law firm, contact us or drop in to our easily accessible offices in Plymouth’s city centre.